Looking for new perks to add to your reward calendar? Creating a reward calendar is critical, but where do you find the perks and reward ideas to fill it? Check out our latest eBook, "15 Innovative Perks to Delight and Engage Employees," to pack your calendar with all the right rewards. We all use calendars, right? We use them to plan for our business meetings, our social events outside of work, for activities big and small that we want to prepare for or not miss. Then why don’t we do the same with our reward activities? Why don’t we create an employee reward calendar to help us design and deliver all of our important reward activities? An employee reward calendar, if used properly, can improve the efficiency of both your time and your work, improve employee engagement, and set you up for the success you require to achieve your critical reward objectives. Helps you organize key employee reward events. 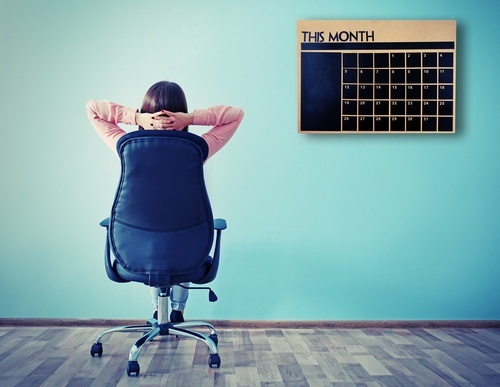 I know it may sound obvious, since that’s what a calendar does, but if it’s so obvious then why do so many reward professionals not create a rewards calendar? A calendar helps you organize the various reward events throughout the year, making sure that everything is mapped out in advance, setting you and your team up for success. This also makes sure that there isn’t too much going on at once, which if happened, leads to overload and avoidance, two things you definitely don’t want to happen! Makes sure you don’t miss important dates. Again, obvious, but if these dates aren’t pulled into one calendar you risk not having enough time to plan for the reward activity or missing it completely. By mapping out all of these dates, such as pay reviews, open enrollment or launches, you avoid what I call the “what if’s,” those situations and messages you wonder what if I had been able to plan for them properly. Makes sure you have adequate resources. If you want to be sure you have the right amount of resources to manage your reward programs, then you need to plan out the events and resources to go along with them. If you don’t plan, you could end up with not enough people to get the work done, or possibly having to postpone important work. Makes sure you can be prepared for obstacles. The best way to deal with the unexpected is to be over prepared and take the time to create a contingency plan for unexpected problems. Think of it like a running race with hurdles, and plan for how you’ll get over each and every one, and what you’ll do should you trip or fall over one. There are many different ways to create a calendar, but I’ve found that sometimes going old-school is best. What do I mean with that? Grab your sticky notes! 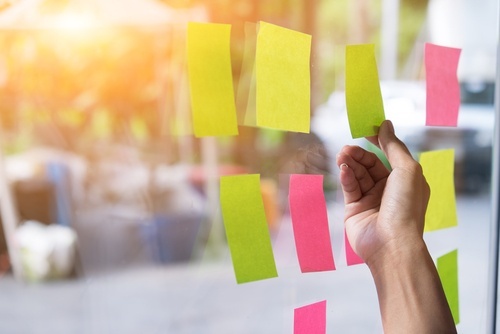 Pulling out your Post-it notes, preferably in different colors, is an easy way to help you create and manage different categories of work. Collaborate. The worst thing you can do is to create your calendar in isolation, without the input of others, as you’ll end up kicking yourself when you realize that you’ve missed key dates, processes, etc. By collaborating with everyone and anyone that has a role to play, you’ll have more information and data points to build your calendar the right way. I’d suggest collaborating at the beginning and throughout the process, getting ongoing cooperation. When you’re done with your calendar, be sure to share it with key stakeholders, such as managers, so you can give them a heads up on future activities. Include the right details. Your calendar is only as good as the detail you include in it. This means you need to really get into the details and not skip the “little stuff.” For example, what is the date of your perk program renewal? Working back from this, when do you need to begin talking to your perk provider, submitting annual data, etc. Don’t skip these key steps or you won’t meet your key dates. Identify overlaps. The great thing about creating a calendar is that it will make it obvious, before it’s too late, that there are overlaps in key projects and timelines. For example, let’s say that your annual review process is happening during the month of March and the benefits team decide they want to rollout a new perks program in March as well. By reviewing and discussing it through the calendar you can identify this overlap and do something about it so that you are not overwhelming yourselves and your employees with competing priorities. Refer to your calendar often. Your calendar needs to be something that is used and referred to over and over again, and not locked away in a drawer once it’s been created. I like to pull it out as often as possible, using it as a discussion document to check in on how things are going and whether things need to change and adapt. Speaking of adapting, it is important to consider your calendar written in pencil, so things can and should change whenever they need to. Remember, as Benjamin Franklin said, “By failing to prepare, you prepare to fail.” So grab your stack of Post-its and get your calendar rolling!